Holy excited about this show! The Monsters are awesome. I played with Reverend Beat-Man of the Monsters (and founder of Voodoo Rhythm Records) in Denver back in 2009 at the First International One Man Band Festival. I have been hooked ever since. Now this nerd (yours truly) gets to open for these sweet Swiss dudes. A little background- The Monsters were formed in 1986 in small-town Bern, capital of Switzerland. 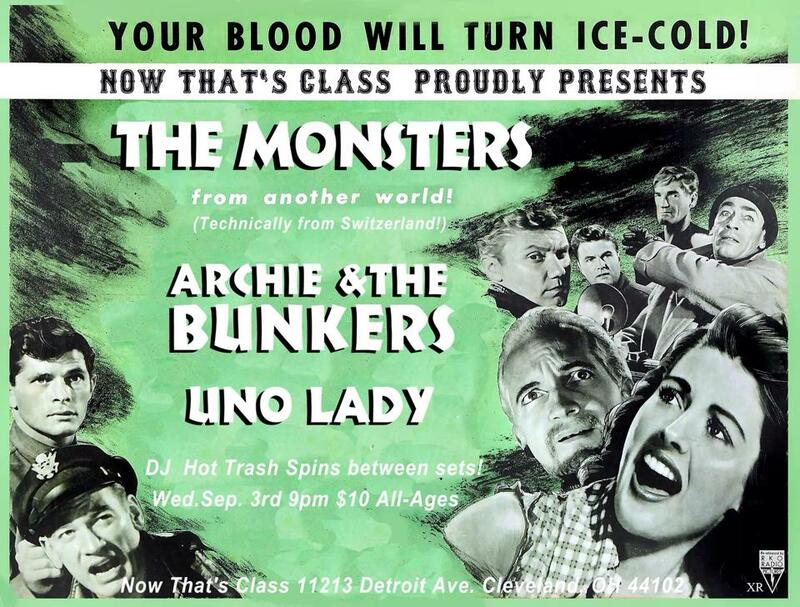 Their sound is a fuzzedout mix between 60ies garage punk, wild teenage trash rockabilly and primitive rock‘n‘roll. Besides the countless shows in Switzerland, The Monsters played extensive tours through Europe including Germany, France, Holland, Belgium, Italy, Austria, England, Denmark and Spain. In 2003 the band toured Argentina, Brasil, and New York. I don’t want to hear any baby whining, like you gotta work the next day, because this will be awesome.